yes, even Floyd Gottfredson’s Mickey Mouse and E. C. Segar’s Thimble Theatre starring Popeye. Those and others have their fans who proclaim them the greatest adventure strips of all time. The Greatest Adventure Strip Of All Time began 95 years ago today. Certainly it didn’t start out that way. But before the end of that first year the gag strip had turned to adventure, with Wash’s fascination of pretty girls always a factor. And, as the exploits became more dramatic and dangerous, well…Wash’s partner Gozy just wasn’t cutting it. What was needed was a real American tough guy. Enter Captain Easy. 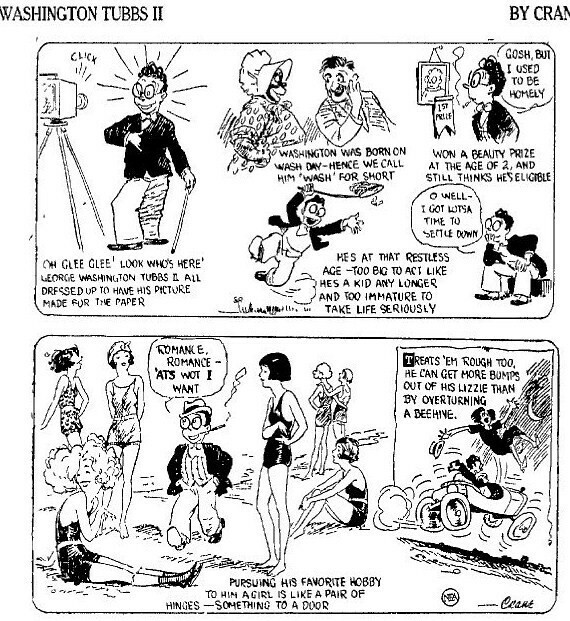 The introduction of the rough and roguish, but basically decent, Captain Easy was what it took to make Roy Crane’s strip the greatest, not just of the adventurous decade but of all time. Roy Crane already had the plotting, the scripting, and the drawing down to near perfection (he would only get better as the years passed); now he had the rakish, and two-fisted, hero to complete the concept. Easy quickly became the star of the strip and eventually it was retitled to acknowledge Easy as the main character of interest. Also eventually, Roy Crane would leave the strip to create Buz Sawyer. Buz Sawyer, like Milton Caniff’s Steve Canyon versus his Terry and the Pirates, just didn’t have the youthful exuberance of Roy Crane’s Captain Easy. 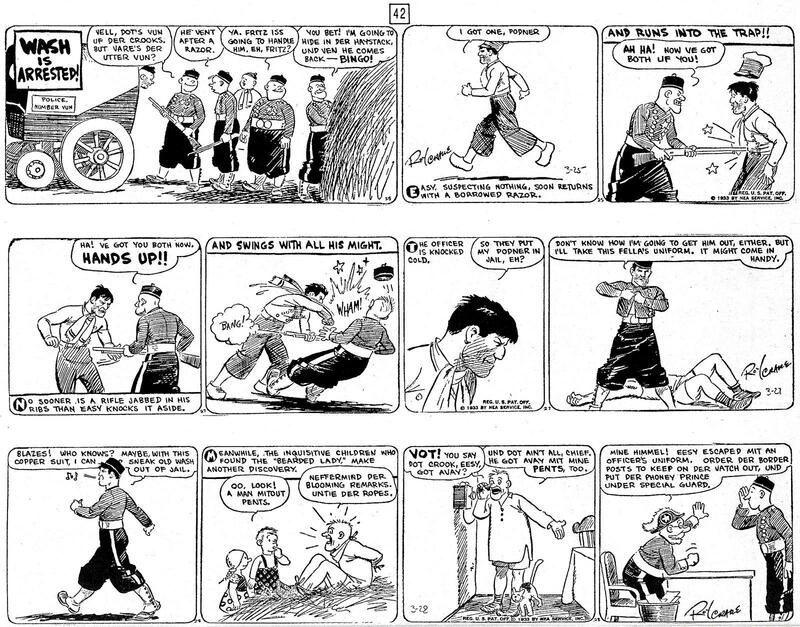 But for a dozen years Captain Easy was so good that it has remained the quintessential adventure strip. Hairy Green Eyeball presents Part One and Part Two of a Wash and Easy 1932-33 adventure. Many more adventures can be read at the I Love Comics archives. An appreciation of Wash Tubbs and Roy Crane at the Yesterday’s Papers site. While Huib, at that Yesterday’s Papers entry, berates the above collection (for just cause), I have an everlasting fondness for it—as that book introduced my young self to the greatest adventure strip. I see below that the AI is connecting this post with some “First and Last” entries. After Roy Crane left Wash Tubbs and Captain Easy his assistant Leslie Turner took over. Eventually Walt Scott and Mel Graff were doing the Sunday pages. In 1969 Turner turned the strip over to his assistant’s care – Bill Crooks then partnered with writer Jim Lawrence to produce the strip. By the time the strip ended it was Bill Crooks with Mick Casale doing the honors. The end was strange, leading me to believe it came suddenly and unexpectedly to the creative team. 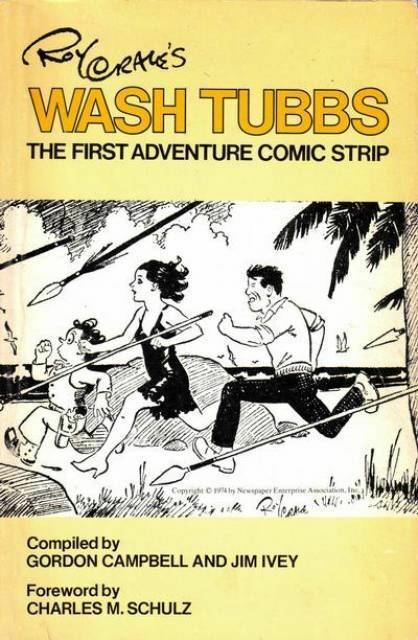 Al Williamson (Star Wars, Flash Gordon, Secret Agent Corrigan) once told me that all I’d ever need to know about writing an adventure strip could be learned from reading Wash Tubbs and Captain Easy. Thank you so much for pointing out this strip. Whenever I saw samples of this in the past I stupidly looked over them. My loss. Wow, going to the links and reading these strips has been an eye-opener. I’m a sucker for good, melodramatic writing, and this strip has plenty of it. I really appreciate this website. Thanks to everyone involved for re-activating it.